Social workers evaluate the social and emotional factors affecting ill and disabled individuals by providing counseling and identifying available community resources. 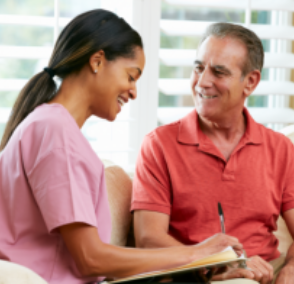 Social Work Services are a vital component of our home health care program at West Coast Nursing Ventura, Inc. and we focus on meeting the psychosocial needs of our patients and their families. Our top priority is to improve and/or maintain the functional, social, emotional, and physical health of every patient while strengthening the coping skills of their families and caregivers. Our Team of Medical Social Workers will also provide the needed community resources available to you and your loved ones.